Part 2 of Ema & Zeeshan’s wedding weekend was another fantastic day with two incredible people celebrating their love. We love working with couples who can really just make each other happy and these two were absolutely giddy this weekend. 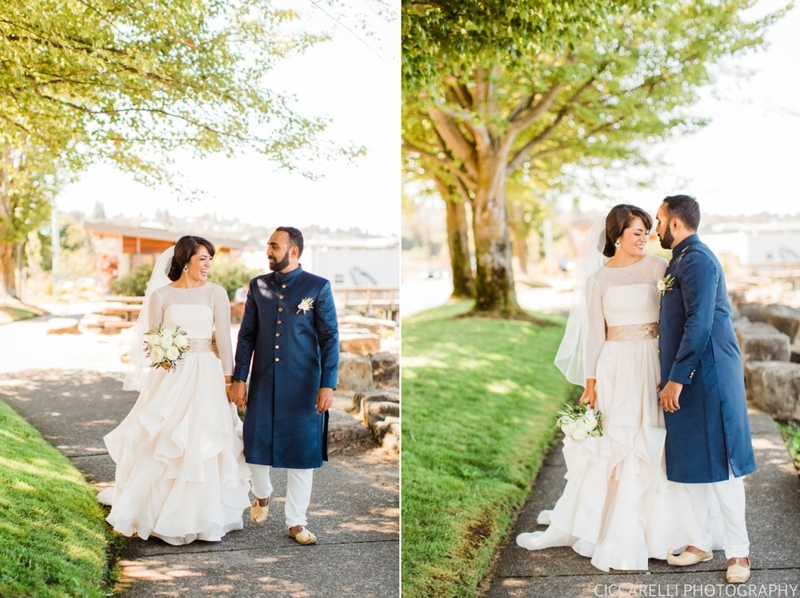 Zeeshan knew just the right things to say for Ema to laugh so we certainly got a lot of happy images captured of them just being with each other, enjoying this day and sharing it with a lot of people they cherish. All the little things came together to create such a perfect combo of these two! 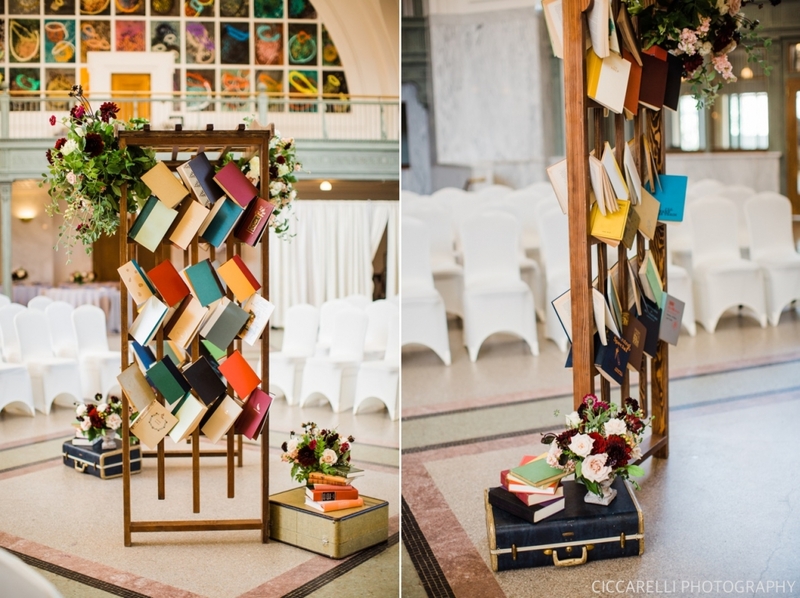 From the custom bookmarks to the hanging arch books that guests were invited to take home to read. The family style meal and library check-out styled guest book were another two of our favorites. 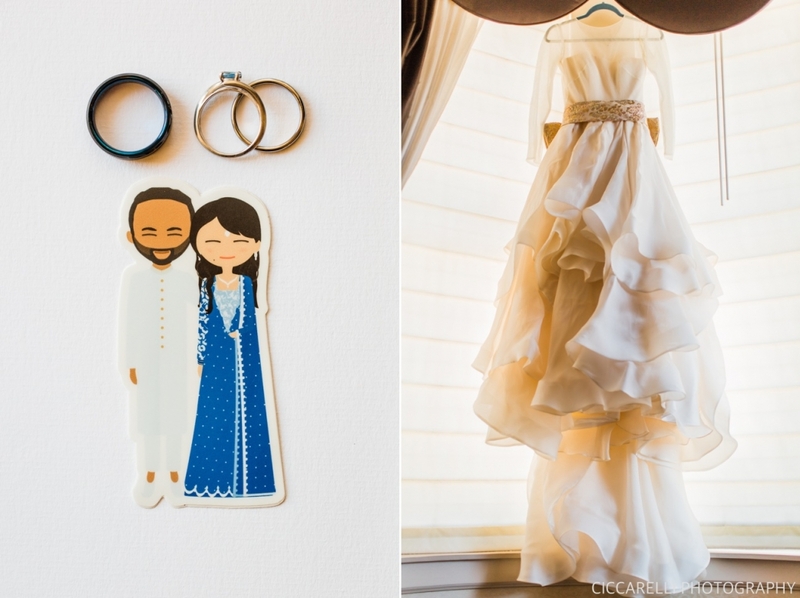 Maddy, of Little Wedding Blush, helped bring their vision to life and it was nothing short of magical! Guests mingled, sipping tea and trying desserts while picking up a book and grabbing a photo with the couple. Towards the end of the evening a special tradition took place when Ema’s sister and friends ambushed Zeeshan and took his shoes. He bargained for their return and had to promise a certain sum to secure them back on his feet while guests and Ema giggled along! Love seeing people again! I worked with Shaleen about 4 years ago so it was the loveliest surprise to get an email from her saying that she was expecting her first child with husband Michael! Their story started many years ago when they first met. After they got married people instantly started asking them about starting a family, but they had plans to travel and spend time together strengthening their marriage before bringing in more family members. After a trip to Italy they decided it was time! When Shaleen took her pregnancy test at 5am before work one morning she burst into joyful tears after seeing the positive sign. Although she had planned on telling Michael in some cute or clever way she just couldn’t wait and rushed in to wake him up with the happy news! 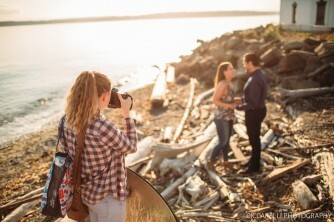 We trekked down to the bluff at Discovery Park for their final photo shoot as just husband and wife. It turned out to be a gorgeous evening spent with two incredibly excited people, the best kind of night! Our 2018 edition of behind the scenes photos coming at you in March?!? Haha, yep, that’s right…it was a seriously busy winter and apparently we are just now looking through our own photos from last year. Always love recapping through these silly behind the scenes photos though, even in the spring as we prep for this year’s weddings! First up…apparently we love long veils, even Erik. Even though you catch yourself from falling into said water you now are photo-bombing your couple and laughing about it too. Next up…Erik’s photo-bombing tradition continues. So thankful that we have the best couples who think this is funny, or at least humor Erik for one pic. 2. Shooting in the rain, while holding all the gear, and the items of our clients while still getting some incredibly fun shots. 3. Showing how to hold a train so it doesn’t drag in goose poop, fixing hair, adjusting ties, putting in veils, pinning on boutonnieres…you name it, we’ve done it. And truthfully it feels good to help! We’ve done this before (this is our 8th year!) so it’s awesome that we can support our couples with the little things, even if they’re not photo related. 4. Getting in our workout during work. Calf raises for the win! Sometimes carrying the dress seriously counts as a workout (although Molly’s was actually light). 5. Standing in the sun when it’s in the upper 80’s and no breeze? We’ve got this. 6. We’ll carry our gear, reflector, and your stuff too! Marissa is the ultimate bag lady. 7. Trying to blend in with the bridesmaids. JK, Erik is actually getting candids of the parents, which is the sweetest thing during the ceremony, a must have to see the look on their faces! 8. Marissa calls this the mud-stance: when you don’t want to slide around while shooting in the rain. 9. The more the merrier! Couples often ask us if we like shooting with videographers. 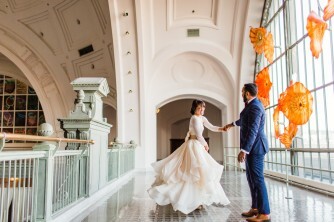 For us it’s always fun to work with other vendors, seeing their style, what different people bring to a wedding day, and widening our list of recommendations for future couples. And last, but not least, the lighting tests. We can definitely just use our hand (see below for this cool trick you can even use to find good light for iPhone pics! ), but it’s more fun to use each other. Mostly Erik gets caught being our model! …and sometimes he goes into full model stance with an over-the-sholder pose. Okay, trying to find a good secret spot on the dance floor sometimes leads us to ask our DJ friends if we can stand close for a moment or two. Marissa thinks this is the perfect DJ pose. Thanks to all our friendors (get it? friend plus vendor) who make our job easy and seriously fun! And one more for the cuteness factor! Rhys learning to photo bomb just like his papa…got to start them young. Capturing the milestones of life has become such a joy! Honestly we never dreamed we’d be photographing so many maternity and newborn sessions when we first started our photography business, but life has a funny way of bringing you exactly what you need. Seeing the happiness explode from these couples is not too far off from the happy smiles of our engaged couples so we keep the principles the same…a little movement, a lot of laughs, and some sweet candid moments in between. Following these two from their bump to baby was so much fun! Teresa contacted us when she was nearing her due date so we fit her in asap before she popped. Their tiny little girl came and brought with her more sweet joy and smiles than her parents could have dreamed. Thank you for having us document such an important moment in your lives!